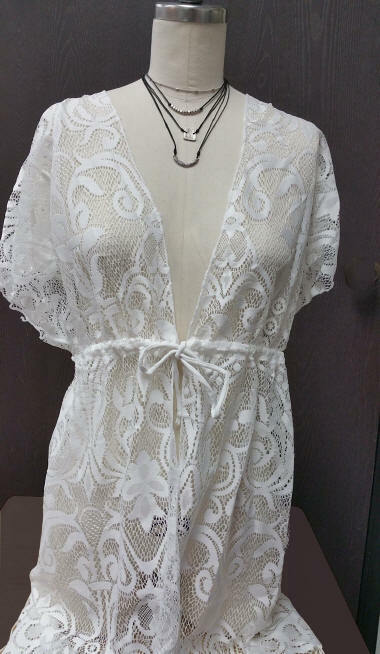 This enchanting cover-up adds style and elegance to whatever it's paired with. Wear it open or tie under bust. Extremely versatile.